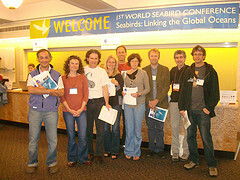 The following students were recognized for the quality of both their research and presentation at the 1st World Seabird Conference. Thank you to the Student Awards Evaluation Committee! Mark Tasker, Tom Van Pelt, Ross Wanless, Pablo Yorio.